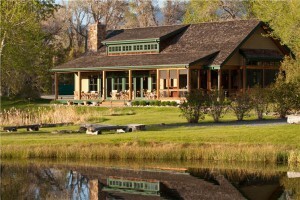 Healing Waters Lodge is proud to offer peaceful and scenic guided trips along the Beaverhead River. With over 30 years of experience and numerous guests satisfied, our staff at Healing Waters Lodge knows what it takes to provide every guest with a genuine Montana experience. Not only do you get to see the beautiful rivers and surrounding habitat, you also get top-of-the-line service and superb cuisine from staff that want to make your vacation as pleasant as possible. We offer friendly, experienced fly fishing guides and world class fly fishing float trips and wading trips, lodge/fly fishing packages and day trips. We have access to private water on private ranches for a rod fee. Don’t hesitate to plan your fly fishing vacation any longer! With stunning scenery, outstanding service, comfortable lodging, the choice is easy. Call Mike Geary today at 406-459-2030 to learn more about our services.